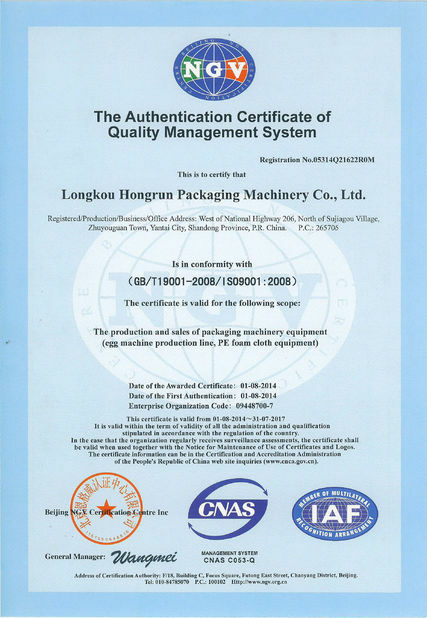 Quality Control - Longkou City Hongrun Packing Machinery Co., Ltd.
Longkou Hongrun Packaging Machinery Co., Ltd Depending on high products quality and excellent after-sales service, our company enjoys great reputation among our customers. Products have been exported to all over the world, and won high praise among the domestic and foreign customers. Our excellent after-sales service could always guarantee regular technical support to our customers. 1. Production and operation workers must strictly follow the process. According to the requirements, according to the drawings, operate according to the standard. If you don't understand, you need to ask clearly to understand and make production. If the operation is not carried out according to the drawings and technical standards, the consequences will be the responsibility of the operator. The reworked products will not be paid, and the production delay will not be doubled. If the product is scrapped, the equivalent price shall be paid according to the price of the raw material. On this basis, the general manager will be finely treated according to the circumstances. 2. Do not produce non-conforming products, non-conforming products will not be transferred to the process, and will not accept non-conforming products. That is, you do not produce unqualified products, do not accept the unqualified products that have been transferred from the previous road, and do not transfer the unqualified products to the next process. The quality of the product that has been transferred from the previous road has the responsibility of checking and checking. If it is not checked, the loss caused by the working hours will be the responsibility of the receiver. 3. Ensure product traceability. 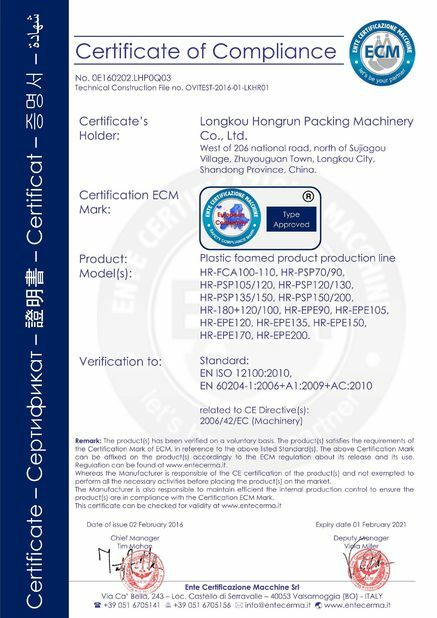 In the process of production, there are processes to be marked, and producers must make production marks in strict accordance with the requirements, and must not be forgotten or missing. Once found, no one is marked, each time deducted 100 yuan. 4. Check the accuracy of the current process fixtures and gauges to meet the production standards. Eliminate waste and rework caused by the lack of precision in fixtures and gauges. The resulting product scrapping and rework is the responsibility of the operator. It is found that the accuracy of fixtures and gauges should be reported immediately. 5. The inspection of full-time personnel and management personnel from time to time to random inspection of each process, found that quality problems urge the operator to immediately rework. Major quality problems should be reported to the factory immediately. 6. In order to prevent and control the quality, the full-time inspectors should be three members and three gangs. The "three members" are quality inspectors and quality promoters, technical counselors, "three." Help "help workers identify and analyze the causes of bad products, help workers to enhance quality first ideas, and help solve quality problems." 7. Defective products (returns, scraps, supplies, defectives) that appear at any time during the production process should be marked and isolated in time. 7.1 After the repaired product has been repaired and inspected, it is ready to be processed in the next process. 7.2 The waste product shall be marked (written) and returned to the original process for further processing or transfer to the waste area. 7.3 Recycling supplies, the inspector stamps the recycling mark, and returns to the original process to continue processing or transfer to the finished product. 7.4 defective products, not counting the output value, and splicing the defective products separately, in the production process, only qualified and approved reimbursement materials are allowed to pass. 8. The operator should think more and ponder over the production process. For the operators who put forward rationalization proposals to consolidate and improve the quality of the process and the quality of the products, the general manager of the factory reports to the general manager for the report and material rewards. Issued By:Shanghai OVI Information Technology Co., Ltd.